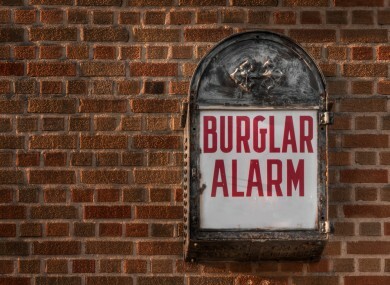 Do you ignore ringing burglar alarms? Only 3 per cent said they would call the Gardaí, while 87 per cent admitted that they would ignore the alarm altogether. THE MAJORITY OF people ignore burglar alarms because of too many false alarms or they expect someone else to sort the problem out. In a recent survey, only 3 per cent of respondents said they would call the Gardaí, while 87 per cent of people admitted that they would ignore the alarm altogether, passing the affected home or business without a second glance. The Netwatch survey also showed that 67 per cent said their alarm had gone off at least twice in the past year, while 68 per cent of respondents stated that all of their incidents had been false alarms. David Walsh, Group CEO of Netwatch said “it is an extremely worrying trend and we have heard of numerous incidents of burglars exploiting this so-called alarm fatigue”. Burglar alarms can also be the cause of issues between neighbours with 90 per cent of survey respondents saying that they had been disturbed by a neighbour’s alarm over the past year. What would you do if you heard a burglar alarm ring? Email “Do you ignore ringing burglar alarms? ”. Feedback on “Do you ignore ringing burglar alarms? ”.